The 2019 Dodge Journey is made available with three trim levels including the SE, Crossroad, and GT. Dodge dropped the SXT trim level for the 2019 model year allowing its higher-end features to trickle down to the lower trims. The base model SE trim comes equipped with automatic headlights, foglights, heated side mirrors, roof rails, height adjustable driver's seat, keyless ignition, keyless entry, a back up camera, 60/40-split second-row seats, 50/50-split third-row seats, second- and third-row seats fold flat to create 67.6 cubic feet, of cargo space, removable in-floor storage bins, sliding and reclining second and third row seats, a 4.3-inch touchscreen, and a six-speaker sound system. An available blacktop package includes a blacked-out exterior trim and 17-inch alloy wheels. The front-wheel-drive SE and Crossroad come with a 2.4-liter four-cylinder engine making 173 horsepower and 166 lb-ft of torque. The standard 2.4-liter engine is paired with a four-speed automatic transmission and can tow up to 1,000 pounds. The middle Crossroad trim comes standard with Bluetooth, an upgraded 8.4-inch touchscreen, a USB port, voice commands, a leather-wrapped steering wheel, leather upholstery, power-adjustable driver's seat, three-zone climate control with rear-seat vents, a touring-tuned suspension, and 19-inch wheels. The top tier GT model comes fully equipped with heated front seats, remote start, rear-seat entertainment system, a premium six-speaker stereo system, subwoofer, navigation, a sunroof, upgraded suspension, unique 19-inch wheels, a universal garage door opener, and rear parking sensors. Under the hood of the 2019 Dodge Journey GT you'll find an all-wheel-drive 3.6-liter V6 that makes 283 horsepower and 260 lb-ft of torque. With this engine, you'll be able to tow up to 2,500 pounds. The V6 engine is available for both the above trim levels. 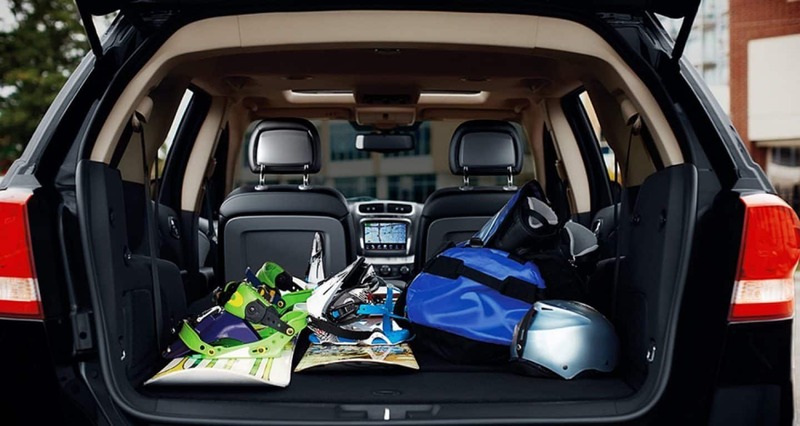 The 2019 Dodge Journey is a fully capable midsize three-row seven-passenger SUV built to handle your entire family. The Journey is fully customizable with front-wheel or all-wheel drive, two available engines, three trim levels, and a ton of available options. You'll feel confident behind the wheel with more than 40 available and standard safety and security features including rear parking sensors. Want to learn more? You can read our full review on the 2019 Dodge Journey here. 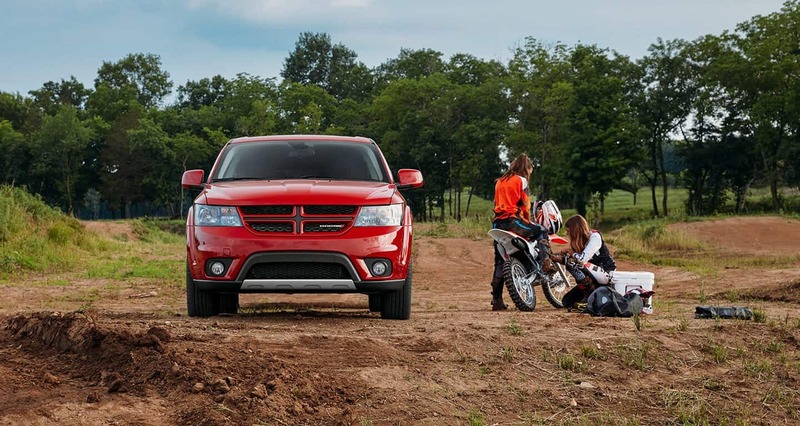 You can also shop all our 2019 Dodge Journey models online or stop on by the dealership today to take one out on a test drive.